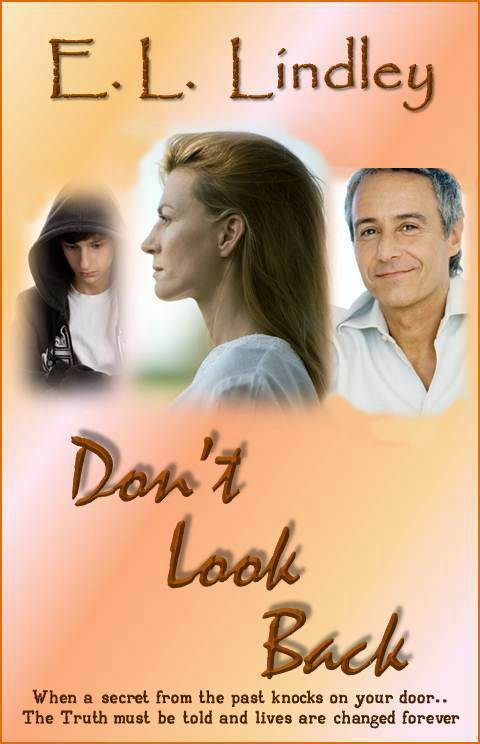 E.L. Lindley wrote Don't Look Back as a stand alone novel and ventured out of her usual crime genre for this one. It came in response to a friend who asked her to write a romance. It's definitely not a fluffy kind of a love story, however, and has been described as "romance with a kick." It is set in both the UK and the USA and features Catherine Hayes, a woman whose past comes back to haunt her and then some. Catherine enjoys her life as a single woman and, if her career fails to fulfil her at times, her social life more than makes up for it. Life for Catherine is about having fun and she is not looking for anything more meaningful or permanent than that. Everything changes however when she is forced to face the consequences of a decision she made eighteen years earlier. Events conspire to bring her first love Bill Myers back into her life and, as they find themselves struggling to forge a new adult relationship, Catherine begins to question the very foundations of a life that seems to be imploding around her. Can she find the courage to embrace a new way of living or is she doomed to repeat the mistakes of the past? Read the first chapter and get a taste for the novel. of her day. She knew better than to attempt any grooming, leaving the curls to fall as they may as she put the mirror back in her bag, pushing herself up out of her seat. At that moment, Amelia, the young receptionist, appeared at her door. tomorrow morning. Catherine’s mind was already firmly focused on her mojito. stepping stone until she found it. It didn’t bother her though as she appreciated that it was pretty much what most women wanted, she was happy to enjoy Amanda’s company while it lasted. hospital before turning off to wind her way along a maze of leafy suburban roads until she reached her flat above a dry cleaners on Ecclesall Road. it for the past ten years and had in fact been renting the same flat for four of them didn’t shake her deeply held conviction. It didn’t matter a jot that, as her more sensible friends liked to point out, she had probably almost paid off her landlord’s mortgage with the exorbitant rent that he charged her. Catherine liked to feel that she was just passing through, the thought of permanence felt too much like failure.